Her eyes were beyond beautiful — they were legendary. A special genetic mix gave this movie star incredible violet-blue irises, which grabbed your attention by the collar, drew you in close, and refused to let go. The enchanting beauty of those perfect purple eyes made the starlet one of the most admired and envied women of the 20th century, and one of the most bankable. Just as a rare mix of genes gave us her legendary eye color, an almost impossible mix of minerals, timing and good fortune have combined beneath the earth to create the violet-blue of the ? total carat Stellux crystal at the heart of the Elizabeth Earrings. So when we saw the Stellux's special shade of purple, we immediately knew we'd found something to match the color and allure of Hollywood's favorite pair of eyes. 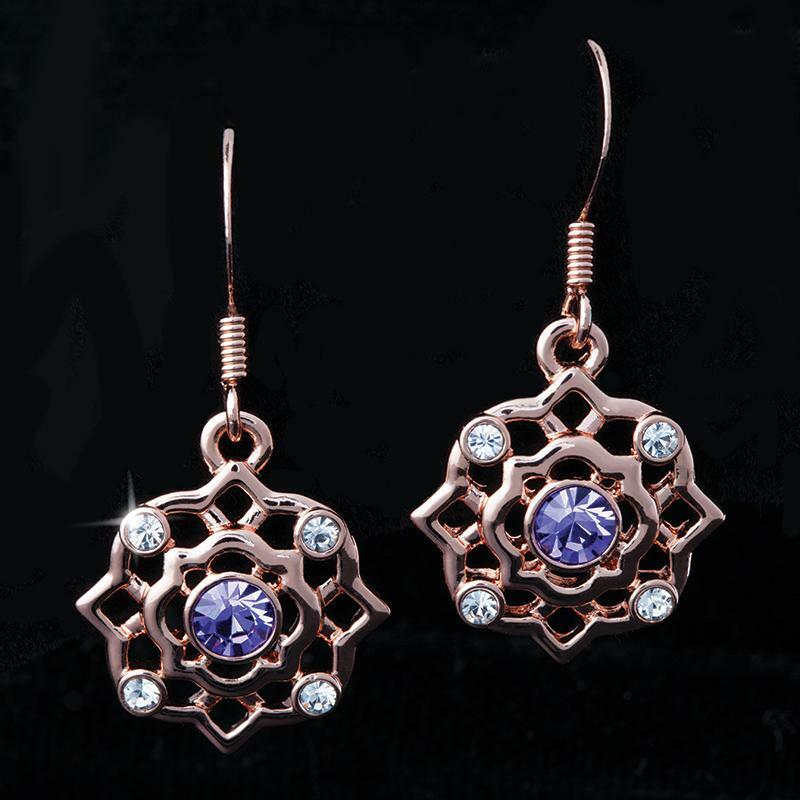 And just as the star of the screen was always dressed immaculately, we've set this perfect purple Stellux in an ornately designed Art Nouveau style rose gold-finish and French hooks, subtly studded with genuine white Austrian crystals, making it red-carpet ready.